How is severance paid to an employee, who has worked continuously for the past twelve years and is resigning the job to migrate? Severance is not paid for retirement. You probably mean gratuity or annuity, and that's determined by your employer. That will be determined by your company's HR department and should be in your contract. At my establishment, we have an employee who is reaching the age of 65. He indicated that he would like to resign from the company at this age and is of the belief that we should pay him severance. He started with the company on January 10, 2005 and as a result has only been with us 8 years. I work for a company for 7 years, i got a week notice that dey sellin out. Am i entitle to severance pay? You cannot get fired because there are new owners. That is not redundancy. Severance is only paid for redundancy. Retirement is not redundancy. If the company has no gratuity or annuity plan in place, he should be applying to get his NIS pension. I worked for a company for 5 years. The owner decides to lease the business to a foreign corporation. Said corporation agreed to retain the services of all employees under their care. What is the employers responsibility to his employees and what are the employees entitlement? My employer an international company is selling. 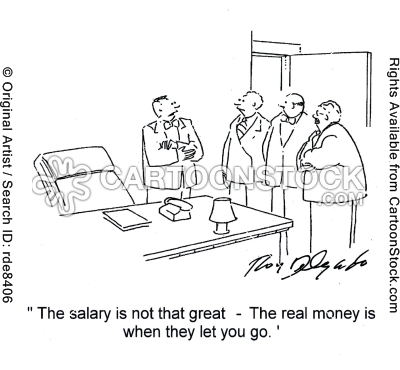 If the new owners decide to make staff redundant, would they have to pay severance? Man husband resigned from his job after 9 years is he entitled to any monies for the length of service. This blog already answered your question. Really wasn't the advice I was looking for but thanks anyway smh. Resignation is done at your own free will, unless it is constructive dismissal. Retrenchment pay only deals with redundancy. As a result, unless the company has a benefit package dealing with annuity or some other kind of benefit, he is not entitled to anything. I own a small business with one employee. The company is going through hard financial times and see no other option to let her go. Are we entitled to pay this employee any monies after her 45 day of notice of the termination of her employment. No, redundancy does not apply in this instance. Depends on your length of service. Not renewing a contract must come with a reason; performance or redundancy. If it's redundancy, you will have to pay severance benefits. Absolute madness. You were ordered back to work before the required period by your doctor? Hi I have been working with a company for 8 years now and they are looking to terminate me on medical grounds. I would like to know if I am entitled to any kind of compensation? If so can you guide me accordingly? What kind of medical grounds? Send me a private e-mail. Ive been working for 9 mos and my company decided to terminate my service reason being is that the project has completed and no others areas that they can relocate me. I was given a 45 days noticed that will end on the 28th of February this year. My question is, Am I entitled to receive a severance pay? I worked with a company in education for 13 years which ended in 2011. I have yet to receive gratuity. Other workers who left received theirs, they claim to have no funds. What steps do I take? Well, your first step is always to put your issues in writing to HR, either from yourself or from someone like myself. I have been employeed with a security company for 20 years. I was appointed acting General Manager a year ago. I was accused of Miscoduct and inappropriate behaviour and suspended for six weeks with full pay pending investigation and a hearing. However, details of the investigation reached regular officers and to other companies. A notice was placed in the office that I am not allowed on the compound of any contracts the company has ( including public places ). Part of my salary included a gas allowance ( card ) which have been deactivated. Also the phone number that was assigned to me for the past six years was cut without informing me. Part of my salary goes towards paying this phone number. All this happen the day after I got the suspenion. Do I have grounds for constructive dismissal ? I worked for a private company for15 years. I resign the job with two weeks notice, am li entiled to any sort of payment besides my holiday and sickleave money. I worked with a company for 33 years within that time they say retirement age is 60, I am now home. what am I asking the company for? Retirement benefits are only dealt with in your contract... law doesn't cover that. My mother has grown very weary of her job as the workers and her boss make her job more stressful on her than should be. (She works as a cashier in a horse racing institute.) As such her medical condition has become worse over time. If she leaves on her own accord, would she be entitled to anything? Good Day, If the landlord breach a term in the contract and he proceeded to forcefully lock up the building making me not able to open as well as my staff not being able to work. Question do I have to pay my staff for time closed even though closure is not my fault? Also do I have to pay them severance if I further decide to close down the business? Yes, you have to pay them for today. No, you don't have to pay severance benefits if the entire business is closing down. Good morning admin my employer gave me a termination of service due to redundancy. They paid me for the 10 days which i worked in march but there is a problem carnival monday and tuesday they didnt not add which would have been 12 days. Now in the past 5 years i have been working they paid me for those non public holidays. I accepted my 1odays paid for march. Thats issue #1. The 2nd issues is that they gave me only 1 month salary upfront which amounts to 20 working days, now i saw on this website states it suppose to be 45 working days by my hourly rate. What should i do? The 3rd issue is my servance pay is 70days according to my employer. I have worked 5 years 6 months how did they get 70days? isnt it 10days for the first year? an 15 days for the othe 4 years what about my half year i made? I joined a union and union is so busy they havent address my matter as yet. Please enlighten me a bit about where i stand? Thank you. 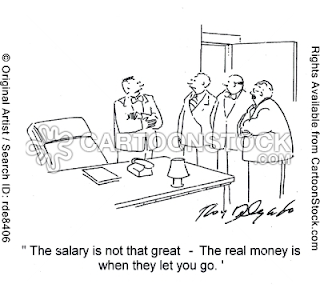 What you get for severance is dependent on how often you get paid; i.e. weekly or monthly. 45 days notice is the minimum, if he has blatantly ignored section 6 of the Act; the next step is a letter from myself. If you have always been paid for Carnival, it is now an implied term in your contract and your employer cannot stop paying now. After four years of continuous service, my employer terminated my employment with absolutely no notice. Am i entitled to severance or retrenchment benefits? No, but you're entitled to compensation for wrongful dismissal. Send me a private e-mail. That depends on your contract and/or company policy. If my employer of seven months gives me a contract, but the contract does not states how much notice to give when resigning. How much notice I should give if any, when resigning. 1 week is sufficient, considering that 12 months haven't yet passed. I have worked for a private company for the past 16 years as a Admin Secretary recently my boss raised a few employees, I did not get a raised for the past four years. When I asked him about raising my pay, he complained how things slow, and only raised it about a few cents per hour. I was not happy about it and I told him I did not accept this raise. He said he cannot do better until Company gets work . Being a good employee still continued working as normal. He became abusive after a couple of incidents at the office and said my attitude changed. I was a bit surprised, I could not handle this, so walked out of job. I went in and delivered my resignation letter a few days after, I did not give two weeks notice. Will I be entitled to severance benefits now that I have resigned? I have worked for a company for 6 yrs. The owners are from Jamaica however they are registered here in Trinidad. They decided to close down due to financial reasons, but hasn't given the staff anything in writing. The local manager says the owners want to give us 60% of our severance but to be paid in three parts. No 45 days notice and no last mths salary. If the company closed down completely, no one is entitled to severance pay. I have worked with a company over 8 years and I am currently on sick leave for more than 4 months. (On treatment) One member of the Department's job became redundant; Do they have grounds to make my job also redundant? And if so; would they be required to pay me severance? An employee has been employed on continuous contracts for 10 years and has been receiving gratuity payment at the end of each contract. The position has now become redundant. Is severance payment applicable? good day, i resigned after 6 years of employ from a Private company.Am i entitled to severance? It's possible that any job could become redundant at any time. Yes, you must receive severance benefits. I have worked for a private company for the past 14 yrs. I am willing to be severed and rehired on contract as the business needs requires. What am I entitled to? Good day, I have worked for this company for just over 2 yrs, now my boss is closing down the office and is going to manage things from home as there isn't much work so he has given me 2 weeks notice written notice( 1 month Verbal). Am i entitled to a severance payment? The company is not closing down, it will remain functioning its just the office he is closing. Good Day, I have worked for a company for 10 years. My employer is has decided to close the company. What benefits can i obtain after my ten year service and is a month notice enough. Not sure why anyone would do that. Read the above article for your answers. Would he be the only 'employee' remaining? worked somewhere for 6 years, new boss they hired was annoying to work with so i sent in a resignation letter and decided to leave,am i entitled to anything? Please read carefully to understand the circumstances where severance applies. Does traveling allowance classify as "Basic Pay" when calculating severance? An "allowance" can never be part of basic pay. It's usually a lump sum payment, but I guess there's nothing illegal about paying it weekly, if they choose to. Vacation is separate from the redundancy notice period. If you want this dealt with, let me know. The 45 days is paid at the same rate at which you worked. So yes, you would and should only be paid for days that you would've worked. One more question...if the company say take your 45 days notice and you are not required to come to work for the notice period. Also they include the 3 weeks holiday in the 45 days. Is that legal ? You're not quite clear, but I'll attempt to answer what I think you're asking. Employees are required to work as normal during the 45 days notice period, unless of course, they're paid in full and told to stay home. Holidays are in addition to the 45-day notice period. Therefore, it is illegal to include the 3 weeks holiday in the 45 day notice period. I worked for a company for 2 years as a monthly paid employee who are entitled to an annual performance bonus. I resigned from the company 5 days before the 2013 performance bonus is due to be paid (I tendered my resignation for August, but was told I was not required to work my notice period). I know that I will be paid for my notice period despite not actually working it, but am I also entitled to my 2013 performance bonus? Yes, as long as your performance was already evaluated before you tendered your resignation. I worked with a company for fourteen years, will be sixty in three months and, will be retiring. what benefits am I entitle to? Only your contract will have that information. I was employed at a company who had a seemingly nice severance and retrenchment policy, however they have changed this policy and have started releasing persons who have served for many years under the previous policy. Does anyone being severed under this new policy have a case or does he have to accept it and count himself unfortunate. If the severance policy was in the contract at signing, it cannot be changed without the employee agreeing to it. I was retrenched from a company who didnt even hold discussions with me concerning options for other departments to transition to. However i did ask on many occasions to be sent to other departments that i saw vacanies on the organisational chart. I was only told they are not filling these positions presently and i was cut. Do I have a potent case or not. Is it a genuine redundancy? Your position is no longer needed in the company? If the company is closing down and everyone is being retrenched, they aren't entitled to severance benefits. I was designate by my manager to go on a course to acquire a certain position in my company, however managers changed and the training was put on hold. I was then informed a few months after by my new manager that he was unaware that i was designated before for the training which was a lie because he was the one who signed off the document approving it at first. The department began restructuring and i was retrenched and the new person who did the course was kept although i was employed years before him. Do i have a case here to persue or am i wasting my time. I have way too many questions. Send me a private e-mail. A company was closed down but will be re-opening under a different name in a different location. They continued paying the permanent staff they had that they intended on keeping whilst the company was no longer in operations. The New company is about to open and they have decided that one particular worker who was a supervisor, they do not wish to keep. 1.Can you advise if the worker should be severance or can they just let go the worker. 2. What benefits is the worker entitled too as the worker have been with the company 1 year 11 months and 22 days? Your speedy response will be greatly appreciated. 1. Severance payment is required. 2. The calculation is in the post. If there a company has a manager who does not perform her job functions and constantly stays home more than 3 days but always gives an excuse and most time on her return brings a sick leave. 1. Can the company terminate her using these grounds without paying a severance? She have only completed 1 year with d company. You clearly didn't read what severance payment is for; re-read the post. That employee can be easily fired... just follow a disciplinary procedure by giving at least a verbal and writing warning, giving time frames for the behaviour to be rectified. No. If it doesn't fall under Workmen's Comp., the employee isn't entitled to any payment. Is gratuity calculated by a set percentage? or is it solely up to the employer?... (I have a 3 year contract, yet I have not seen or signed the actual contract). Employer's choice, unless it's the public sector. Hi if I have been working for a private company for 4 years and was served a termination letter with one month notice am I entitled to anything. The letter indicated my contract expired and will not be renewed. I have been getting a yearly contract. What's the reason for non-renewal? No reason was given just a non renewal on the contract. Hi I have resigned my post at my present workplace. I have worked here for over 2 years and im on a yearly contract. My company has a gratuity plan in place whereby I am entitled to a gratuity after each year of service. However i have resigned before completing my third year. Am I entitled to any grat payment? In response to your reply: It is the public sector, I work for a Government Ministry. Solely up to the employer. If the contract says "after each year of service", you'll only be entitled to 2 years gratuity. i work in the public service as temporary clerk 1; if i resign, would i be entitled for any money? Good day, I received my gratuity from my institution and it was less than I was suppose to receive. In questioning why, I was informed this was due to me being paid half my income during the maternity period. Is this right. Hope I was clear in question. I don't understand... gratuity doesn't have anything to do with maternity leave payments. Send me a private e-mail. I have been working for a private company for the past 14 years and they are trying to force me to quit. What do I do? Am I entitled to any benefits if i leave? Am I entitled to anything if they fire me? Please advise me accordingly. No contracts were signed. Since no contracts, were signed, did any other employee receive anything when they left? If no, you have nothing to get... unless it's redundancy. And when you say forcing to quit, is this a basic resignation on your part, VSep or constructive dismissal? No employees got any thing when they were fired. They have not been paying NIS since 2009. everyone else left or was fired and I am the only one left. They opened a new company which I have been running for the past 6 months and then they sent me on paid vacation and then when I returned they moved me and put me back in the office by myself with no job profile just to do whatever they ask me to do and now everything I do they find a fault and says I have short comings.Everything is a problem and its very frustrating. Don't know if to leave or wait for them to fire me cause its seems that's what they are aiming for. there is No VSEP. So I really don't know if I will get any kind of severance or anything at all. I am lost. "Not paying NIS" as in not deducting or deducting and not remitting to NIB? Also, concerning your job, don't quit. Let them fire you... hopefully it will be without due process and you'll have a claim for wrongful dismissal. Absolutely. Sorry for this delayed response, but it's so far now. I should've seen this earlier to help you. Ok Thanks how do I send you a private email. Do you believe there to be gaps in our retrenchment & benefit legislation? And if so can you name a few please. To find your answer, do a comparative analysis on similar legislation from other countries. well at least thank you for telling me how to go about it. i have to find out this info for a project we have at school. Yea, I figured it was homework... hence my answer. Good luck. I have been working for a company for 2 months and on Friday they gave me 2 weeks notice because they have decided to close down and rebuild and as a result my position has become obsolete. My contract states, "The company may terminate your employment without cause on giving you at least two (2) weeks’ notice in writing or paying two (2) week’s salary in lieu of such notice." Are they required to pay me on or before the date I have to leave? Actually, they owe you 45 days pay, not 2 weeks. After catering for weekends, that's still about a month's salary. That contract term is also illegal... this is not America, you cannot be terminated without cause in Trinidad and Tobago. I have been employed with a company for almost 3 years. The first year I was on a month to month contract with no benefits. From the second year I was given a 2 year contract with some benefits. I will be resigning from my position 8 months before the contract ends. Will I be able to claim for gratuity for the 1st year I worked ? Gratuity is not law. You're only entitled to gratuity if it's in your contract. I was employed in a Company for 3 years, they served a number of us Retrenchment Letters ( did not get 45 days notice ). They claimed our positions were redundant, yet after they sent us home, they employed other people to do the same jobs they claimed were redundant. What can be done ( if anything ) about this? It seems that it may be wrongful dismissal. Look under the "About me" section above and send me an e-mail. I have been employed at a state company for 5 years 9 months. During this time the company changed names & functions & talk of severance was heard. Several managers were given severance packages. That is company policy, nothing to do with law. I've worked with a company for 3 years. I have resigned and gave them my 2 weeks notice. Am I entitled 'service pay'? I've never heard of "service pay", and I don't think it exists... and if you meant "severance pay", you're not entitled to that. Service benefit is implemented as part of OWTU agreements with companies. It provides for the permanent worker who has separated for any reason other than redundancy. However, I want to know if this is part of law. how much notice do you have to give an employer of 4 years of termination/ resignation? There's no law on employee notice, only employers. You could resign with immediate effect, but the right thing to do is probably 2-4 weeks notice. If you work in a private company and give them a resignation letter (on Thursday) effective two weeks from the date of the letter ..month end. The Manager was not in and you left it on their desk, and sent them a text informing them of the same,. They never replied, but you know they came into the office over the next couple days. You have a regular shift Monday to Thursday but sometimes you are called into work Friday, Saturday, Sunday or anytime that you may be needed. This weekend you were not called. When you came to work on Monday to report for your shift you were told that the letter has to be immediate and you were not allowed to take up duty, This is in the Media Industry . They had someone come in to work your shift. The person was not as qualified as you. Would that be considered wrongful dismissal, and can any compensation be had even though the resignation letter was sent, but was not yet at its effective date? place 1 hour earlier, this was not in my contract. As a result i told and was forced to resign, without any compensation. this happened 8 moths ago. I was a very good worker but there was an age, gender and religious discrimination against me. Can I get any redress and compensation for this? Definitely wrongful dismissal, mate. If they choose not to have you around during the 2 weeks, you have to be paid for it, along with your outstanding vacation, etc. This is considered constructive dismissal, but you're 2 months too late. Good day , can a redundant position only apply to one person . eg working as a cashier at a store that require 2 cashier's my position as the other cashier became redundant and the other cashier position wasnt. Yes, it can apply to 1. I resigned my job after 30 plus years of service. Am I entitled to anything? I wasn't even thanked for my service. Unless there's a gratuity in your contract, there's no entitlement to anything. i have been employed since 2011 with a government organisation and have been working on contract right through, since my service was never broken it means i have been working as a full time contract employee continuously. Therefore we are no in 2015 and i have been catching my royal to get my gratuity payment for the period 2011 to 2012 and from 2012 to 2013 and i have in writing where my contract states that i am entitled to 20% of what i have been working for. My appraisal was done for the 2012 to 2013 period given that when i first started to work with the company, we were not under the management of any government organisation but now that we are under a government organisation the 2011 period to to july 1st period was done as a gratuity payment instead. now i would like to know how soon i should be writing formally to ask or inquire on what is owed to me because i have inquired and made several complains to various heads of authority already so i would like to know what actions can be done to speed up the process to get my money for those two outstanding periods because my two year contract from 2013 to 2015 will soon be up and that is going to be another set of gratuity payment to be made payable to me and its going to cause more than a backlog if they dont start pushing put payments for those outstanding periods. Is it just you? Are you unionised? Please send me a private e-mail instead. whats your email address, am not seeing it? I was terminated from my job, and I got a termination letter stating no later than 60 days all outstanding payments would be remitted to me. Is this a legal thing, or how long should the company take to pay my severance benefits. Employees received a notification that another employee will be resigning as at the end of February. However, HR has not received any letter of resignation. HR has been asking, but has not received anything yet. What are the consequences of not having a document with that employee's signature stating that he/she has initiated the exit from the organization? I'm not sure if you were fired or made redundant. Nonetheless, section 22 of the RSB says payment must be made within 30 days. Pension from the government or NIB? I was not fired the workers were terminated because our company was not getting paid by the company we were working for. Very illegal... send me an e-mail. I worked for a private company for 16 years and was suspended with pay for misconduct. I resigned after a couple of days and the employer sent me a letter stating that had I not resigned I would have been fired. I have vacation inside but have not been paid for it after 30 days. Additionally the company has a pension plan, am I entitled to anything? You're entitled to your vacation payment, but maybe not the pension. Depends on the company policy, the plan and your contract. All payments after termination are due within 30 days. Retrenchment has nothing to do with back pay, so I don't know what you're talking about. Hi I am employed with a contractor, and i would like to know who is authorized to sign and initial the employees td4's, is it the employer, accountant or HR Asst or any employee working in the payroll or admin office. The reason being that I being the latter was instructed and told that any one could sign the td4's would like to know which is correct. Also how do you calculate paye on a salary of 5.5 T /mth. since the company deducted 732. taxes from that amt. I have a concern. We have a small business and need to retrench 1 employee out of 9. Does she have to be paid severance and what are the rates that apply? If an employee is a senior employee and causing dissent in the organisation by ill speaking management and trying to encourage indiscipline and lack of motivation, what are the legal ways a company can use to dismiss said employee? Severance after 12 months continuous employment. "Rates" depend on years of service. I have been employeed with a company for almost 4 yrs. In January I was given a retrenchment letter and was asked to leave immediately. I still haven't received the severance pay. How long does this normally take and is it illegal of them to not give 45days notice that I was being terminated? 1. They don't have to keep you employed for 45 days, but you MUST be paid for it. 2. The time frame for severance payment is 30 days from the end of the 45 days. 3. What are the grounds for severance? It good be a wrongful dismissal. Why don't you send me an e-mail, so we could discuss in more detail? Look under "About Me"
I am currently employed in an organization that wants me to move to a location that is much further than where I am currently placed. I have asked to be placed in a branch closer to home however the company refuses. What are my rights pertaining to this situation? I have 3 years service and the Co. Wants to terminate me on grounds of ill health. Does this fall under redundancy or severance act? Or how should the Co. Pay me off? Depends on their reasons for the move. Ill-health is not redundancy. How you're compensated is up to them, if at all. Can you advise if its legal for a contracting company to pay casual or called out workers 12 hours flat rate, by 7 days per week even though there is a notice posted by the min of lab for excess of 8hrs worked, to be paid 1.5, 2, and 3 being the new rate. This is presently the practice. Please advise! Once you're paid hourly, overtime rates apply, so that practice is illegal. I was employed with a company for almost 7yrs. In January I was given a retrenchment letter. I still haven't received the severance payment nor the 45 days notice pay. Is this legal? Thank you for your response dd 12 April 2015 18.37. In view of this , is there any way this matter can be addressed with the ministry so that the called out employees can get there fair wages, is it possible for and audit inspection to be performed in the contractors payroll dept including their NIS which many of them do not have NIS #'s but deductions are being made, they range from 100- 200 persons to make sure these illegal practices conform to what is required by law?? This unfair and exploitation of workers should be stopped.Awaiting your advise. I'm not sure what you're talking about, so please send me a private e-mail, which can be found under "About me". Of course not. It must be paid within 30 days. Send me a private e-mail. My dad has been working in the small family business 40+ years now. The siblings who are also directors want to dissolve the company. Apart from the annuity and claim for personal money used to fund the business, is he be entitled to a gratuity? im sorry i do not know where i could post this question but my boss told us workers that we could only use the toilet on our half and hour lunch break can they do that ? If a multinational company closes down it's operations in Trinidad and sends all the workers home, are they mandated to pay the employees severance since technically the company will still be in operation...just not in Trinidad. Good day, my senior position with a multinational company was made redundant exactly 2 months ago. I understand that severance should be paid within 30days. Redundancy was immediate, thus signed to receive 45days payment in lieu of notice. I have Not yet received any payment related to severance. They keep saying they waiting on approval from BIR. Is there any recourse to have them settle asap and further more any recourse /compensation for the time the time outside of the 30 days they take to settle? According to section 22. (2) of the RSB, you have to join a union to assist you. I have been with a company for 5 yrs 4 months, I was told at the end of last month (April 2015) that my position was made redundant, i read that a worker should be given 45 days notice. Do they have to pay me for the 15 days not given. How do I calculate the severance payment? 45 days notice or payment in lieu. And the calculation is in the body of the post above. I have been working with a company for over 2years. I was literally forced to resign due to the fact that the new hr manager found that i couldn't commit to a full 40hrs of work a week. which all started as soon as i returned from my maternity leave while employed with them. The option was either i resign or they fire me because apparently my baby is not entitled for vaccinations shot or even to get sick which would have required me to be absent from the job on that said day. Is this fair? Should I have received a severance payment?Want should i have done? Because I just resigned with 2 weeks notice. Hi, aside from company policy and /or agreements are there any law or convention that states a notice period for resignation must be given and if not vacation leave must be applied in life of notice?